The Winter Olympics are undeniably cool, but some of the sports can seem absolutely crazy, making you wonder whose bright idea it was to first hurtle down a nearly mile-long tube of ice (bobsled, skeleton, luge) or fling themselves off a hill (ski jumping, big air snowboarding). While people have been playing with sleds and skis for centuries, each of these sports has a pretty well-documented history. In fact, there's even one brave person who's credited with making the first ski jump more than 200 years ago. Sled races go back a long way – back to the Middle Ages, in fact. The first sled race that was documented took place in Norway back in 1480, the next in Germany in 1552, according to USA Luge. But what we know as the Olympic sports of skeleton, luge and bobsled are an intercontinental invention. Toboggans were inspired by Native American-Canadian transport sleds, which were already being used to shoot down straight tracks in the Great White North by 1882. That's when British soldiers in Switzerland added a twist, according to the International Bobsleigh and Skeleton Federation. Actually a couple of twists: they built a curved track between the towns of Davos and Klosters to kick the competition up a notch. Check out the incredible helmets that Olympic skeleton racers wear during competition. The next year saw the first luge race on a road between the same two towns, and it ended in a tie. An Australian student and a local mailman both covered the 4 kilometers in 9 minutes and 15 seconds, according to the International Luge Federation. Bobsled grew out of skeleton racing, when two skeleton sleds were attached and affixed with a steering mechanism, according to the Olympics' history of the sport. It had an official club in St. Moritz, Switzerland — the site of the second Winter Games — by 1897. All three of the sports were developed by Swiss hotel owners as a pastime for their wealthy clients, according to the Olympics. It's rare to be able to pinpoint who started a sporting event, but a Norwegian-Danish military officer named Ole Rye is the man credited with making the first ski jump, according to the International Olympic Committee, which credits him with a nearly 10-meter jump, roughly 30 feet, in 1808. Rye rose to the rank of general in the Danish military and died in battle in the coastal town of Federicia near Copenhagen, according to a museum in the area. Organized ski jumping competition had taken off by the 1860s, and the sport's history — and development into a truly death-defying activity — can be traced through the progression of ski jumping styles. Big air snowboarding will make its Olympic debut in Pyeongchang. 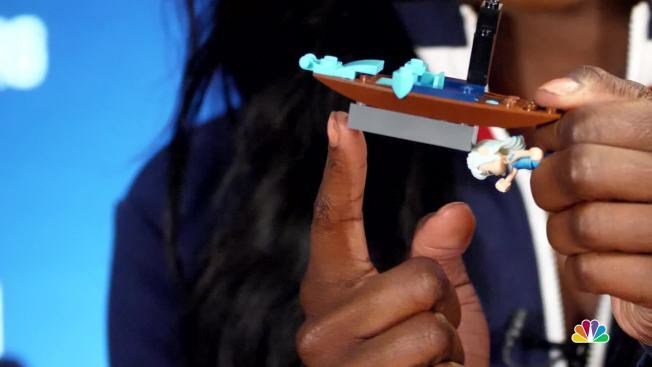 U.S. snowboarders Julia Marino and Ryan Stassel explain how it works with the help of Legos. In 1924, the best jumpers sailed about 50 meters. Just 12 years later, after the spread of the Kongsberger technique taught athletes to bed at the hips and extend their arms over the skis, the first one reached 100 meters. Since then, skiers have learned to put their arms backwards and shape their skis into a V, according to the Olympics. The gold medal-winning large hill jump in at the Pyeongchang Games was 136.6 meters. 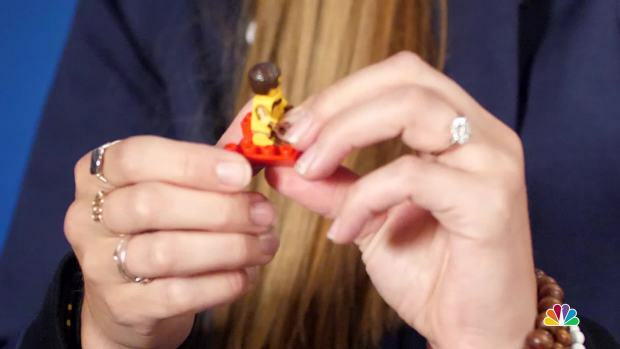 Before you watch luge during the Winter Olympics in Pyeongchang, Erin Hamlin will teach you how it works with a bunch of Legos. There's actually a version of ski jumping that goes even further than the Olympic competition: ski flying. It's held on even bigger hills than the Olympic standard, and at a competition last month, Poland's Kamil Stoch landed a 230-meter jump — that's 755 feet. Snowboarders have always lived out on the edge, but the big air competition brings that tendency to new heights. 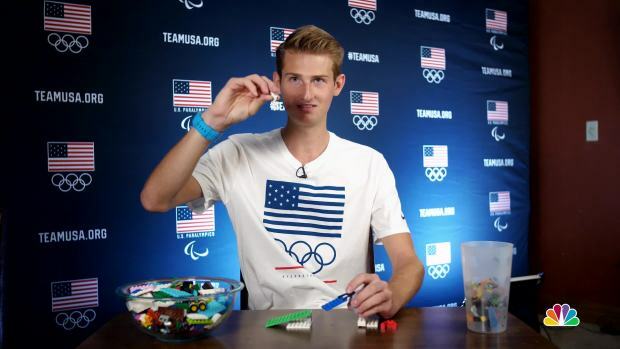 U.S. ski jumper Kevin Bickner explains his sport using legos. It made its Olympic debut at Pyeongchang Monday (Sunday in the U.S.), with the first gold medal to be awarded three days later. The athletes drop 125 feet, then launch themselves off a 10-foot jump to nail one massive trick. The competition dates back to 1994 and an Austrian competition called "Air & Style" that featured just one big jump. It reached the International Ski Federation by 2001 and the world championships in 2003. Pyeongchang has the tallest ramp in the world, at 49 meters (160 feet). It's not official, but Red Bull — the energy drink that's a big name in extreme sports sponsorship — lists the biggest snowboard jump ever landed as a 57-meter (187-foot) 360 pulled off in Norway in 2005.